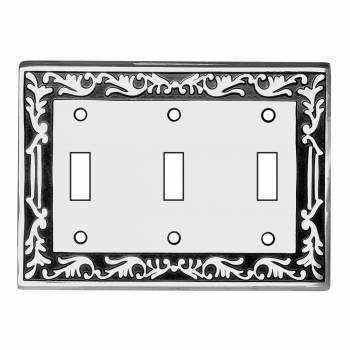 Feature the classic style of chrome-plated brass? 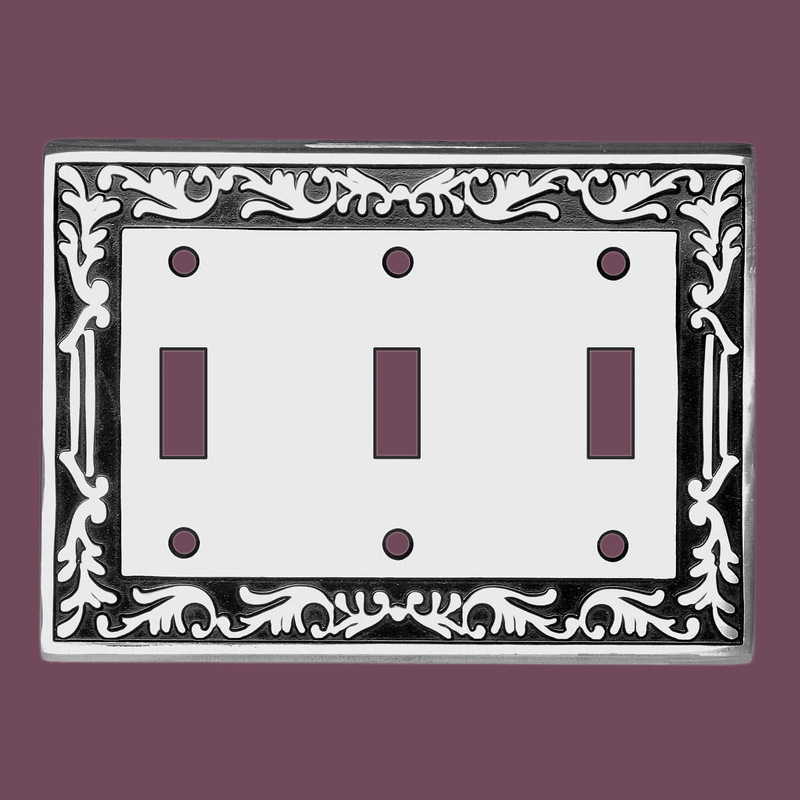 Victorian Chrome Triple Toggle. 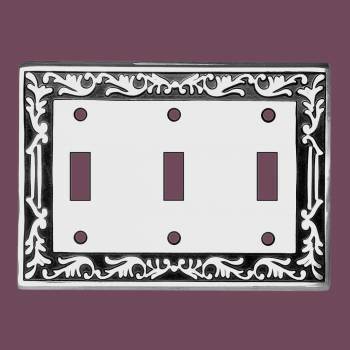 Beautiful Victorian inspired switchplates gives any room that perfect touch! Make of die cast brass with a chrome-plate finish. 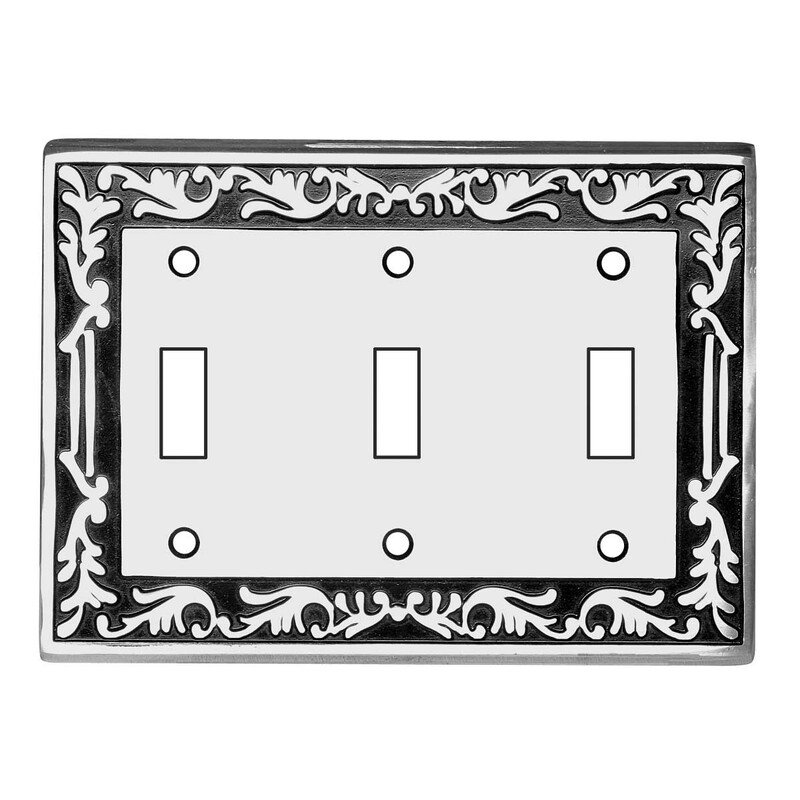 Exquisite design and quality.